Made in the USA from 1/4" steel. Laser cut, tig welded, and powder coated. Features 3 holes for easy assembly to furniture and cabinetry. The Apex Industrial Foot is Reminiscent of 1950’s school house furniture. Updated to meet the needs of today’s contemporary buyers, the Apex Industrial Foot works with all of your urban and industrial décor. Available in 5 powder-coated finishes, and 6″ and 9″ heights. 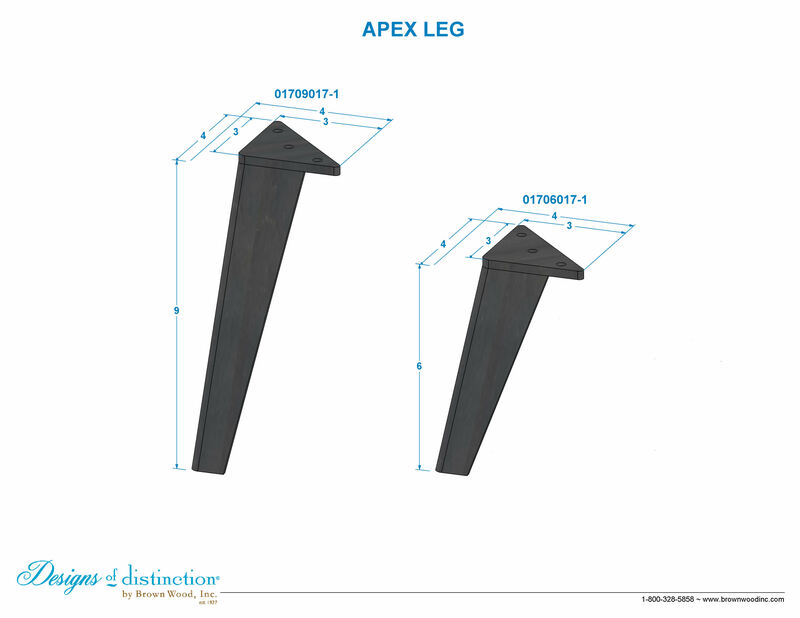 Accent your cabinets, seating, chests, and other furniture using the Apex Industrial Foot. Establish a theme using all wood and metal components from the Urban Collection. Powder coated finishes are weather resistant.